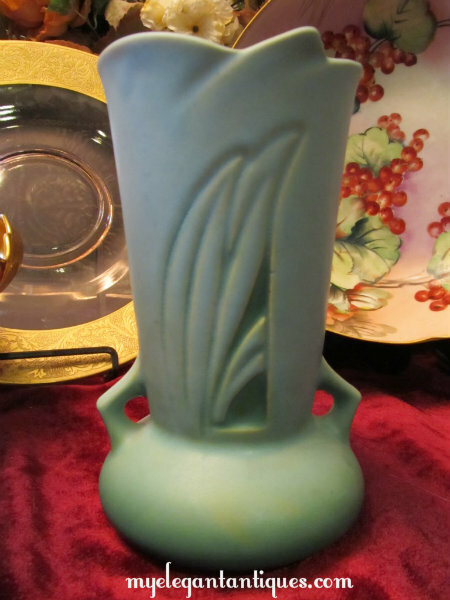 Fresh from an estate sale, we have a mint condition vintage Roseville vase in the lovely, art deco-inspired Silhouette pattern. 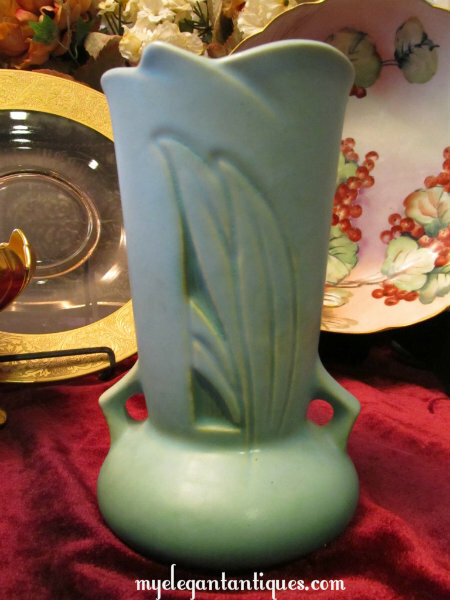 Featuring sharply angled handles rising from a bulbous base, the body of the vase rises upwards in a cylindrical form, while an incised pattern of long leaves imparts a lyrical grace to the piece. 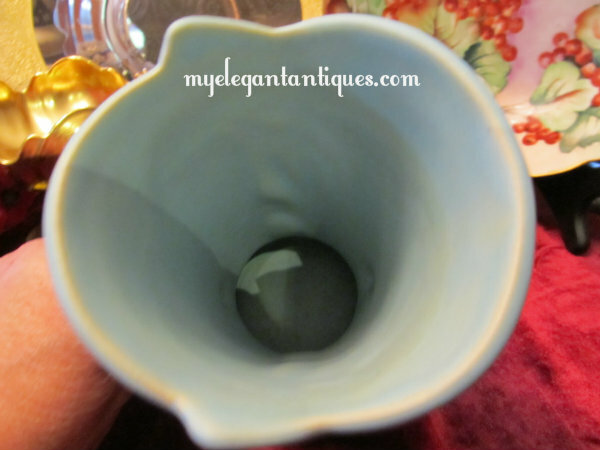 The rim of the vase crests in an echo of the lovely, incised pattern. The Silhouette pattern was first issued in 1950. It is our understanding that it was not a tremendously popular design at the time, and was not manufactured for very long. 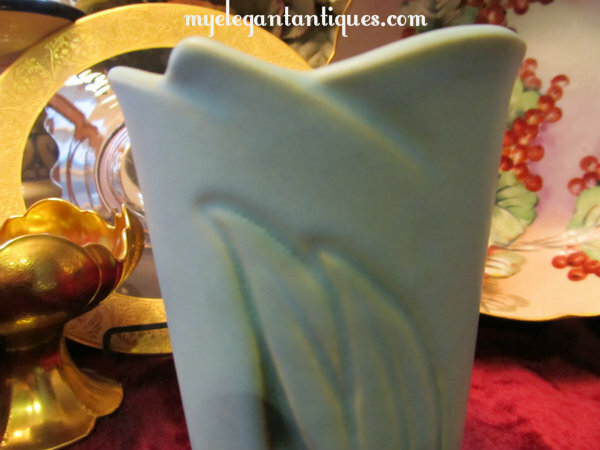 Standing 6-1/4" tall, this gorgeous piece is marked with the raised Roseville script mark, and the and the shape number and size: 780-6,(please see our photograph). 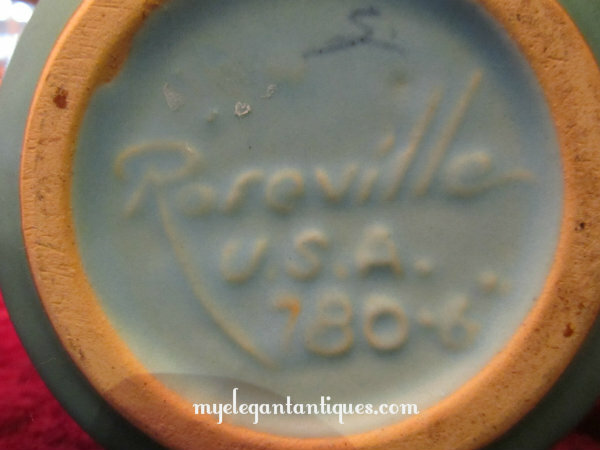 Although we did not photograph it, we are including a receipt from 1988 that we found tucked in this vase, which appears to document the purchase of this Roseville vase by its former owner. 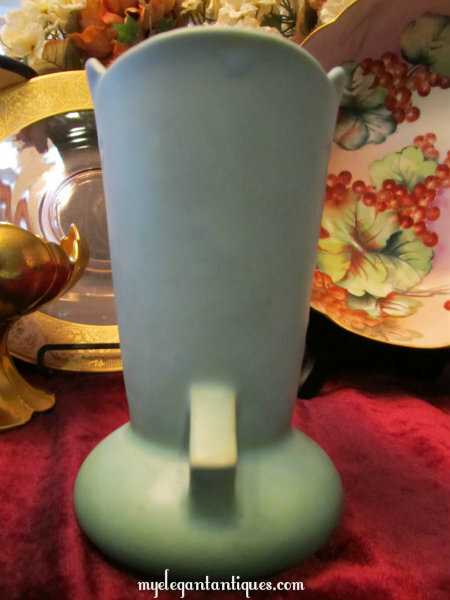 This Silhouette vase would be a lovely addition to a Roseville collection, and an item that will grace any home!